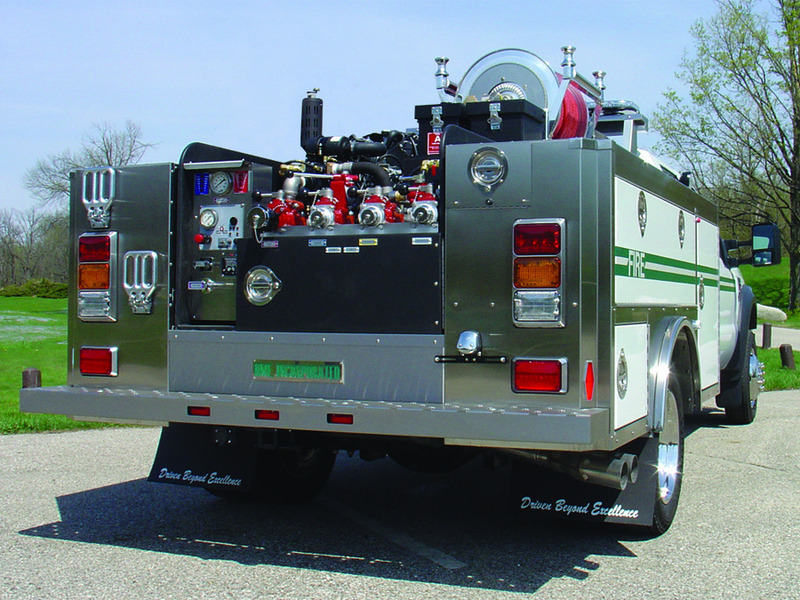 On road or off-road, the HME Type 6 Wildland expands the functionality and value of today’s Type 6 initial attack truck. 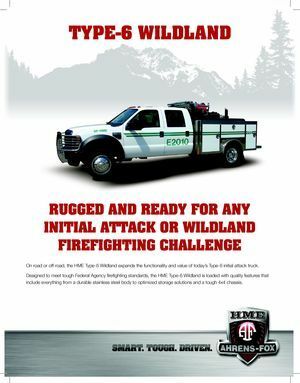 Designed to meet tough Federal Agency firefighting standards, the HME Type 6 Wildland is loaded with quality features that include everything from a durable stainless steel body to optimized storage solutions and a tough 4x4 chassis. Advanced engineering and design adds versatility, durability and value. 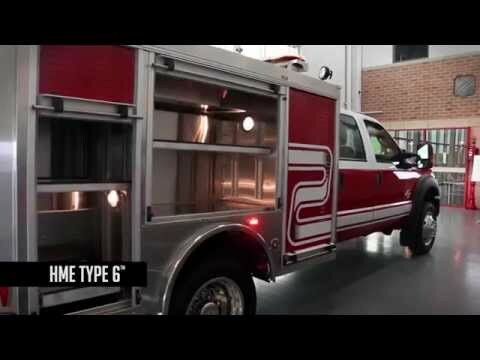 HME used its advanced computer design technology to build the toughest and most durable wildland truck available today. HME engineers applied 3-D modeling technology to create a flex-system to protect the durable stainless steel body from the rigors and stress of rough and uneven wildland terrain. 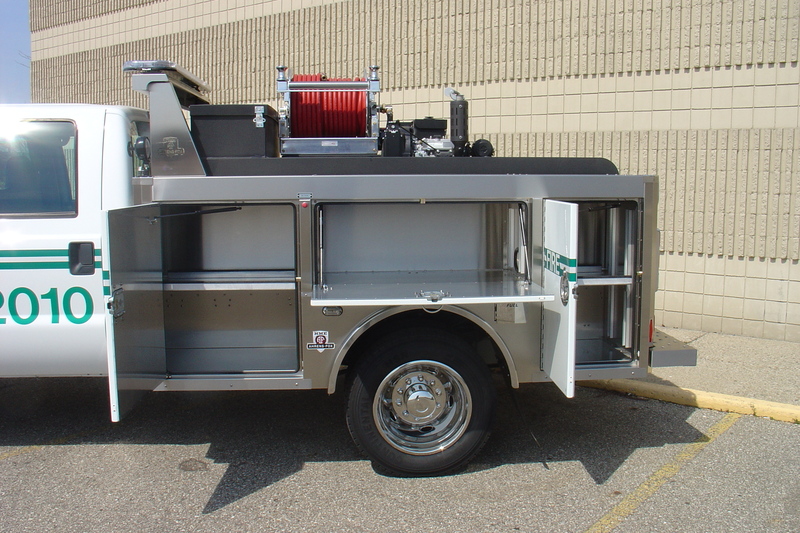 A tough and corrosion resistant stainless body provides storage solutions for instant access to all the gear and equipment required for wildland attack operations. 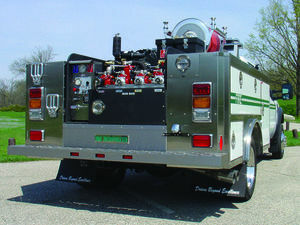 A Type 6 pump with a 300-gallon tank capacity, hose reel, and foam system provide maximum fire suppression support for a wide range of initial attack applications. Designed to meet and exceed Federal Agency specifications. Agile and tough 4x4 chassis engineered provides extended durability for application in rough and rugged wildland terrain. Type 6 pump with 50-GPM performance with custom pump and valve options. Foam system with 17-gallon foam tank. 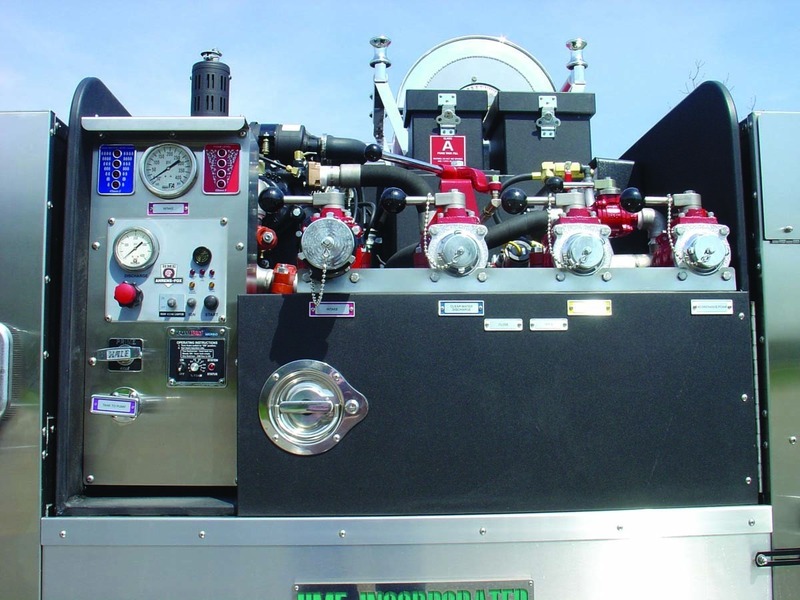 Hose reel options to expand wildland attack performance.